1. 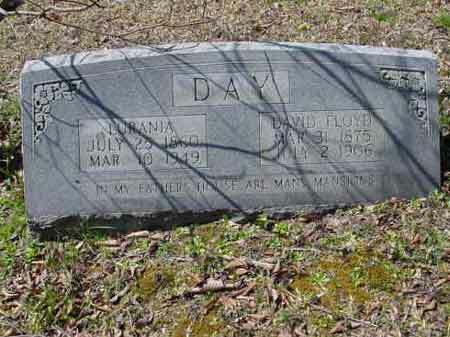 Lucinda Day (aka Smith) b 6 Sept 1893 (or 1888 in census) KY d 19 Sept 1955 Deane, Letcher Co KY; buried Hall Cemetery, Deane, Letcher Co KY; m. Willis Sherman Tolliver b 27 Jun 1893 Baker, Letcher Co KY d 3 May 1958 Jenkins, Letcher Co KY; buried family cemetery, Rockhouse, KY; s/o Melvin Burton Tolliver and Arminda A Baker. i. Richard Cortez Day b 1927; m. 1959 Jackson Co MI to Bonnie Schwinnen b 1932 d 1989. Richard Cortez m. 15 Jul 1985 to (2) Jaynce ieman. iii. Kenneth Gordon Day b 1932; Clare Thurn d 1 Aug 1994 Marin Co CA. Kenneth Gordon Day m. (2) Nancy Raines. v. Janice Queen Day b 1939 d 18 Jun 2000 Knott Co KY; m. Robert Wilkenson b 1938. Janice Queen Day m. (2) Edward Garcia b 1932. Janice Queen Day m. (3) Allen Damron b 1934.